MoreThinking about the future may be overwhelming, but it is an important part of preserving a legacy. At The Ruffin Firm in Douglasville, Georgia, we have guided countless clients through estate planning matters, including probate, wills and long-term care decisions. The team at our law offices recognizes that the choices we make today could have a lasting impact not only on our clients, but also on their descendants. We provide people with innovative strategies to protect their assets and develop...Thinking about the future may be overwhelming, but it is an important part of preserving a legacy. At The Ruffin Firm in Douglasville, Georgia, we have guided countless clients through estate planning matters, including probate, wills and long-term care decisions. The team at our law offices recognizes that the choices we make today could have a lasting impact not only on our clients, but also on their descendants. We provide people with innovative strategies to protect their assets and develop a plan that fits their goals. 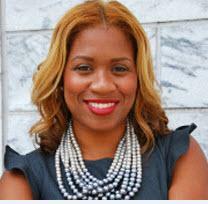 Having spent nearly a decade working in estate planning law, the managing attorney of our law offices, Camelia H. Ruffin, has an extensive knowledge of the state and federal laws that apply to a client's case. She has the ability to look down the road to determine how to mitigate risks, minimize taxes and avoid emotional distress. Over the course of her career, she has proven herself as a skilled litigator in guardianship issues and sound counsel when it comes to complex estates. From start to finish, we conduct a smooth legal process that puts clients' minds at ease. The Ruffin Firm offers free initial consultations and accepts credit cards. We have two other law offices in Atlanta, Georgia, and Jacksonville, Florida. Our attorneys also handle real estate cases.